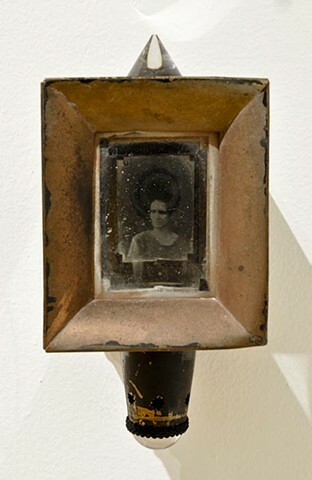 This lantern-like object contains a silver-coated copper Daguerreotype plate. When activated by a spirit summoner, an image of the spirit being summoned would appear in a sharp (but elusively ghostlike) apparition on the mirrored surface of the plate. A new plate would be inserted into the summoner each time it was employed.